As we enter a new Fort Lauderdale real estate market , a more balanced one, properties that have always stood out in Ft. Lauderdale will lead the market back. Venetian is one of those properties. Read more about Venetian which sits at 1 Las Olas Circle, in Fort Lauderdale, Florida. Turn right out your door and its off toe Fort Lauderdale Beach. Turn left out your door and its across the Las Olas Blvd. bridge to all nighttime Fort Lauderdale has to offer. 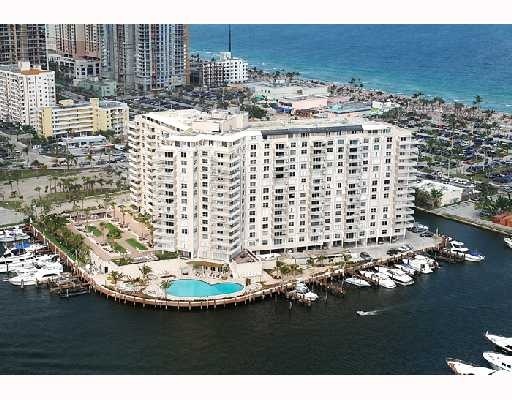 With views of Fort Lauderdale landmarks in every direction Venetian's location cannot be beat. The building is surrounded on three sides by water, and looks down on the International Swimming Hall of Fame. The building features 237 condominium units. Many of the common areas including the pool and health club have been updated there is moorage available to owners for rent, when available. When it comes to a luxury building, in a truely luxury location Venetian is hard to beat. At Eric Miller and Associates, "We're here to help" with your next Fort Lauderdale Real Estate purchase or sale, and if the Venetian is on your lsit of properties to see we are here to help. Contact us directly at (954) 383-8170.